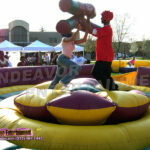 A free-floating rocking pedestal platform heightens the Joust experience. 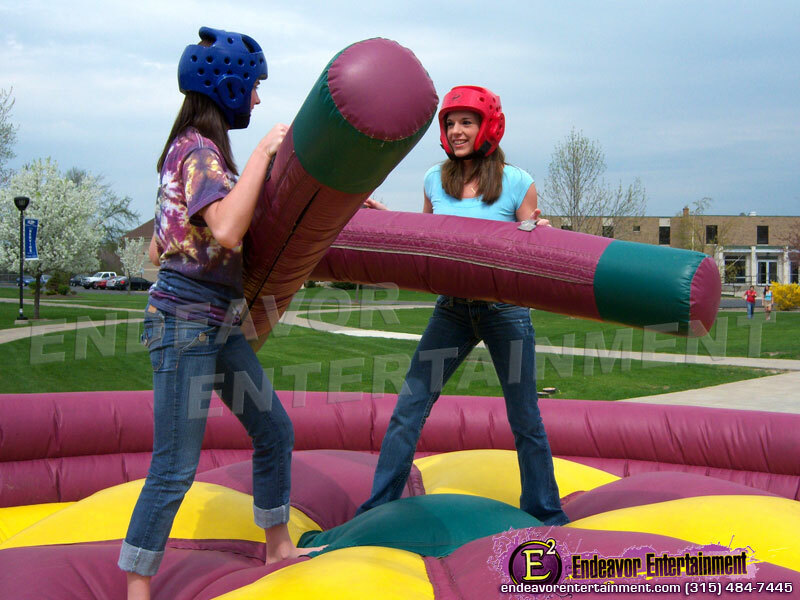 The Rock ’em Sock ’em Joust’s unique pedestal is more a test of balance and coordination than sheer strength, as the center pedestal rocks back and forth, so the trick is to stay on! 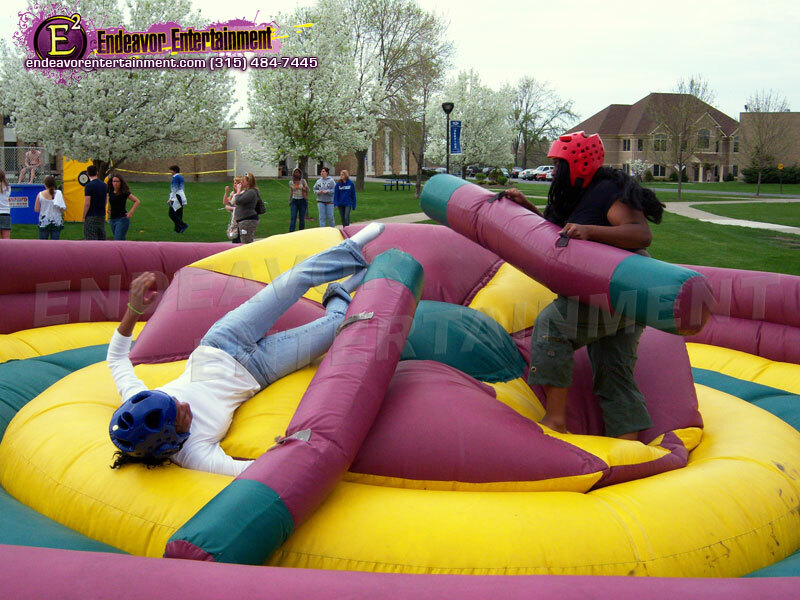 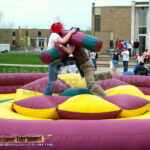 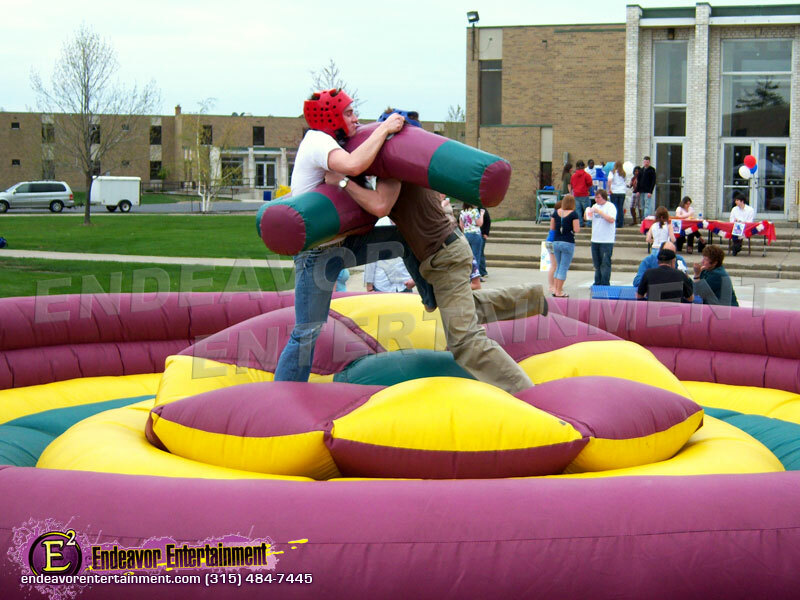 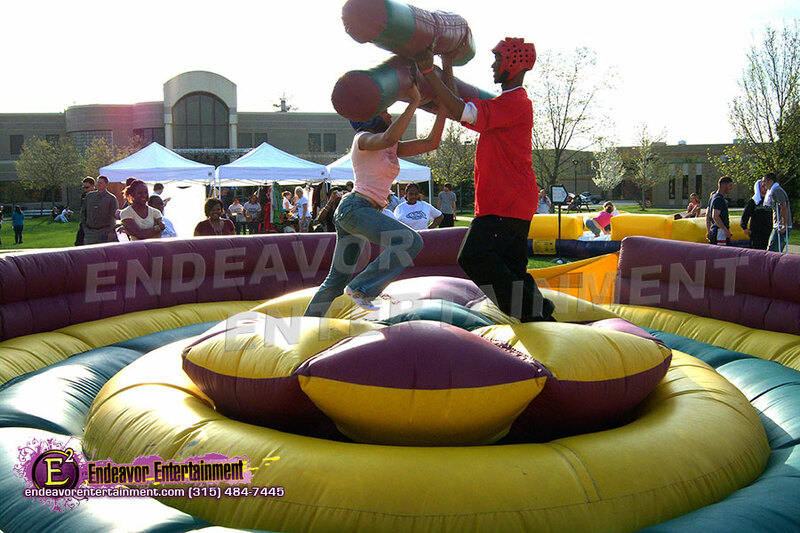 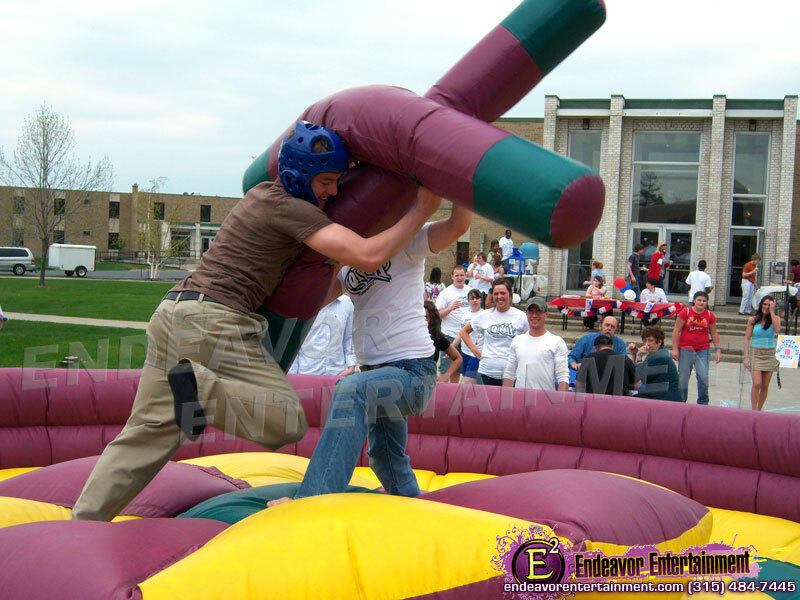 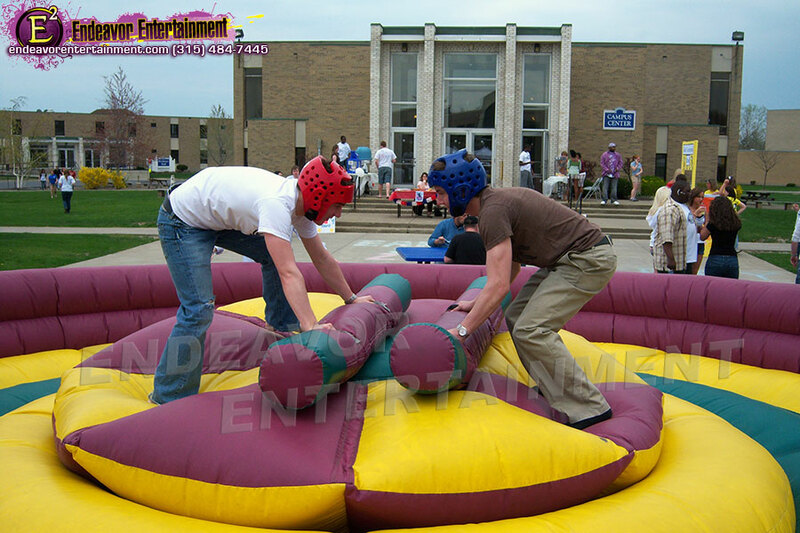 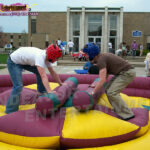 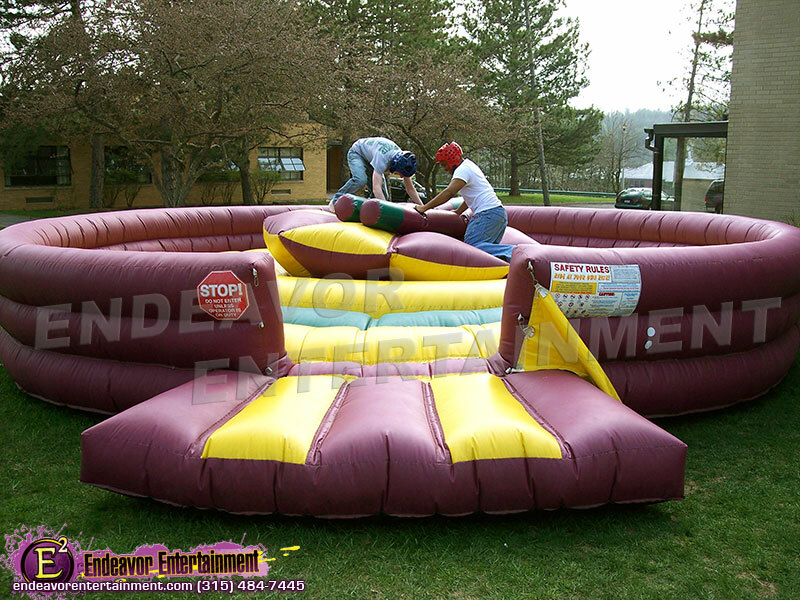 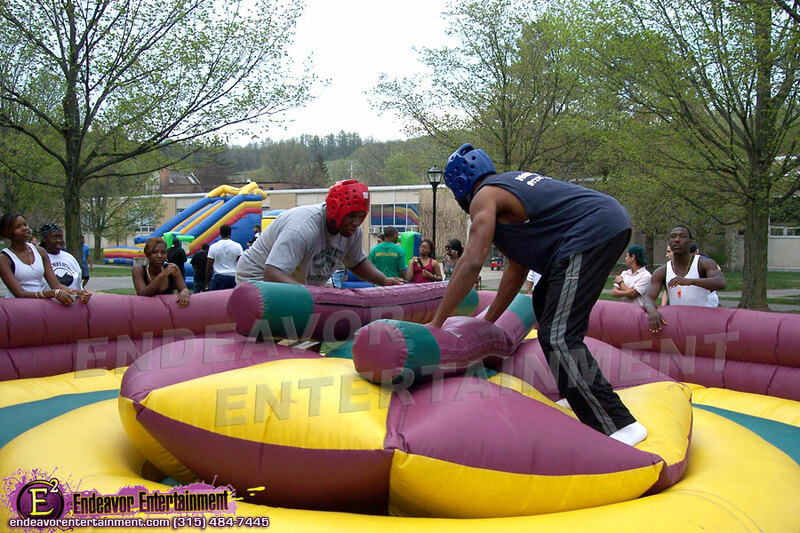 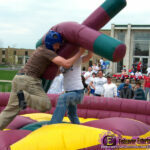 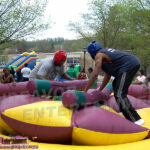 Our inflatable joust comes complete with safety head gear and padded jousting poles.